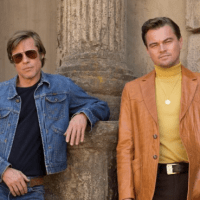 The first trailer for Quentin Tarantino’s new film Once Upon a Time in Hollywood has finally been released. The highly anticipated film stars Leonardo DiCaprio, Brad Pitt, and Margot Robbie. The film is another historical fiction from Tarantino and explores the Hollywood scene in the late 60s; including story lines on the Manson family murders.